Roof allegedly shot and massacred nine African-American churchgoers. Dylann Roof, the white supremacist charged with shooting up a Black church in Charleston, South Carolina, killing nine parishioners, was granted Monday the ability to represent himself in his upcoming trial. Facing 33 charges of hate crime murder, U.S. District Judge Richard Gergel reviewed the order that declared him competent to stand trial. He stated that he felt the decision was “strategically unwise,” but he ultimately granted Roof the permission to represent himself at trial. The judge had delayed the process when Roof’s lawyers suggested pressed that their client either didn’t understand the charges against him or were not able to properly help them with his defense. 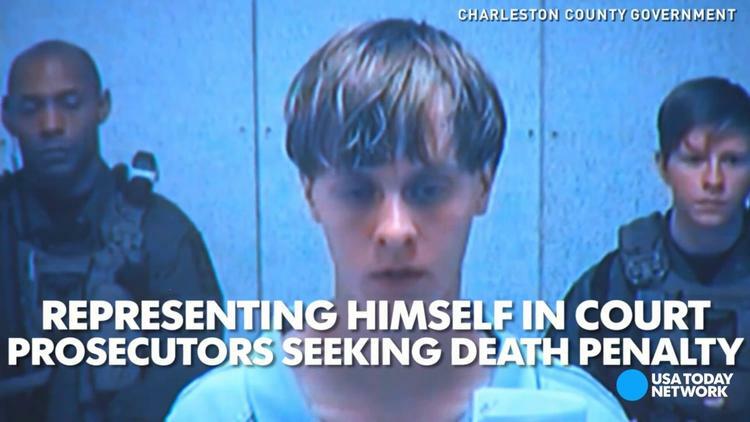 The question remains whether Roof will be granted the death penalty for his June 17 shoot up last year at the Emanuel African Methodist Episcopal Church in Charleston. According to police, Roof sat through an hour-long sermon at the church with other congregants before pulling a gun from his fanny pack and firing dozens of shots. Hurling racist insults at the six women and three men he is charged with killing, he said he left three unharmed so that they could tell the world the shootings occurred because he hated Black people.